It’s that time of year again – time to celebrate another great season of football. The Easts FC Junior Trophy Day will take place on Sunday 16th September. See the flyer below for full details. 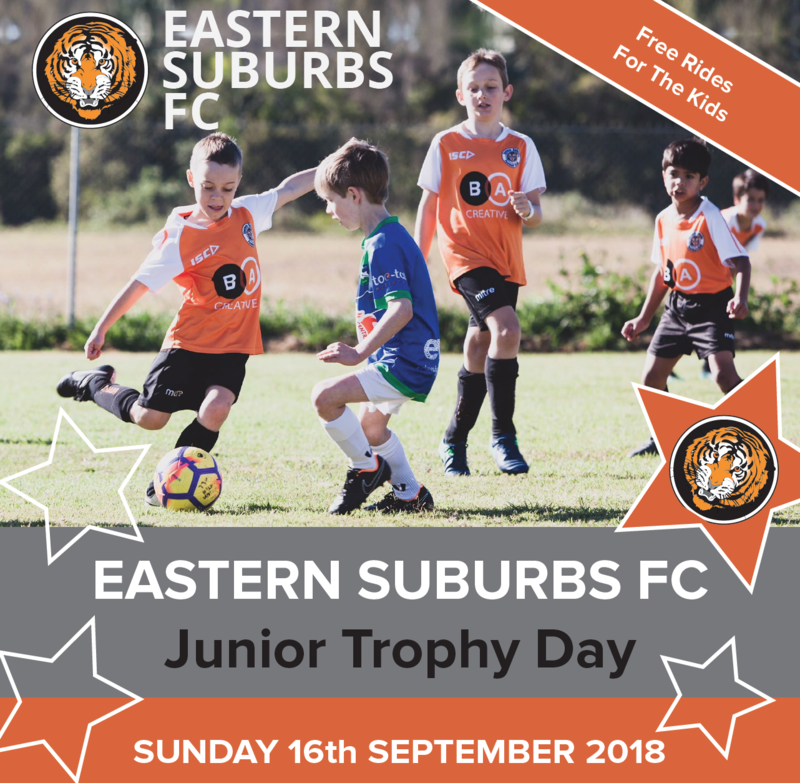 Eastern Suburbs Football Club Junior Trophy Day 2018 Flyer.